Book your EZPZ Video Game Party today! Accepting Reservations Now! Welcome to the website and blog of EZPZ Video Game Parties, the newest (and most fun, in our opinion) option for your next birthday party or just about any other fun event. 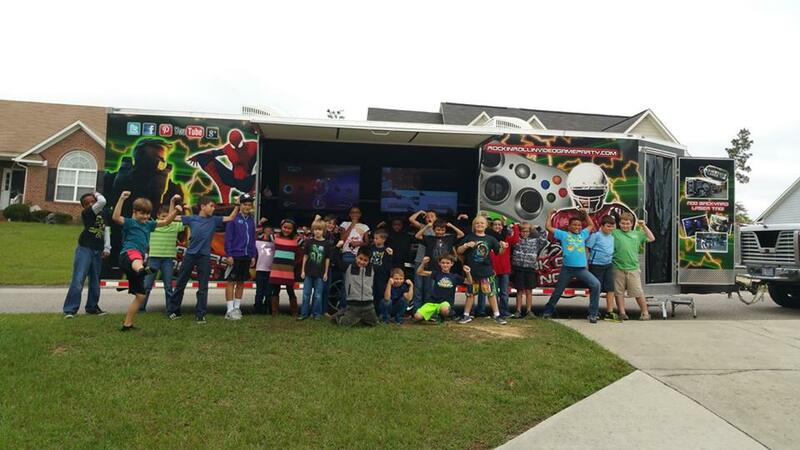 Simply put, EZPZ provides a 32 foot Mobile Video Game Theater to your location. 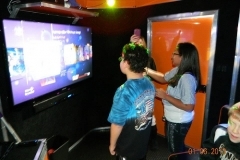 Our Mobile Game Theater, or MGT for short, is fully stocked with great multiplayer games on several different platforms like Xbox One, Xbox 360, PlayStation 4, and Nintendo Switch and Wii U! Enjoy our stadium-style seating and laser light show while gaming on one of our 5 high-definition flatscreen TVs…and that’s just on the inside! We have 2 more TVs on the outside, ready for your motion-based gaming desires like Just Dance. 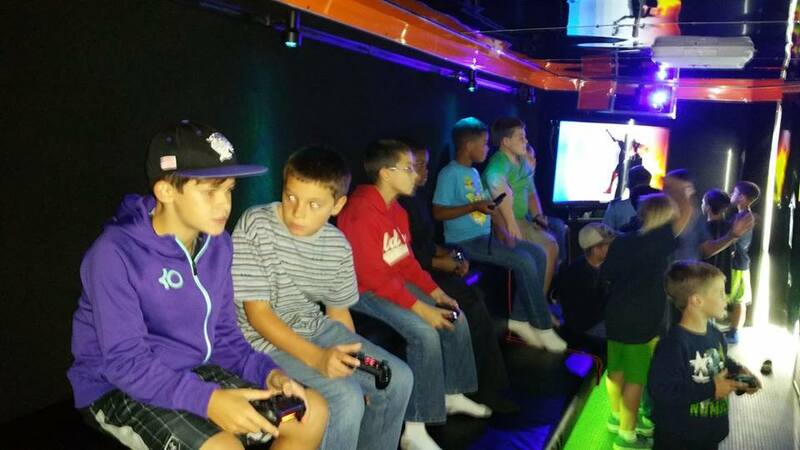 Our MGT can accommodate up to 28 of the gamers in your life! Our MGT is self-powered, so we can bring it to any outdoor spot that has 55 feet of space (including our truck). We can do indoor events too, we just need access to electricity as we can’t run our generator indoors. Not sure if you have 55 feet of room in front of your house? You’re in good company! Many of the homes here on the Monterey Peninsula and Santa Cruz areas are short on curb space…good thing there are many options! 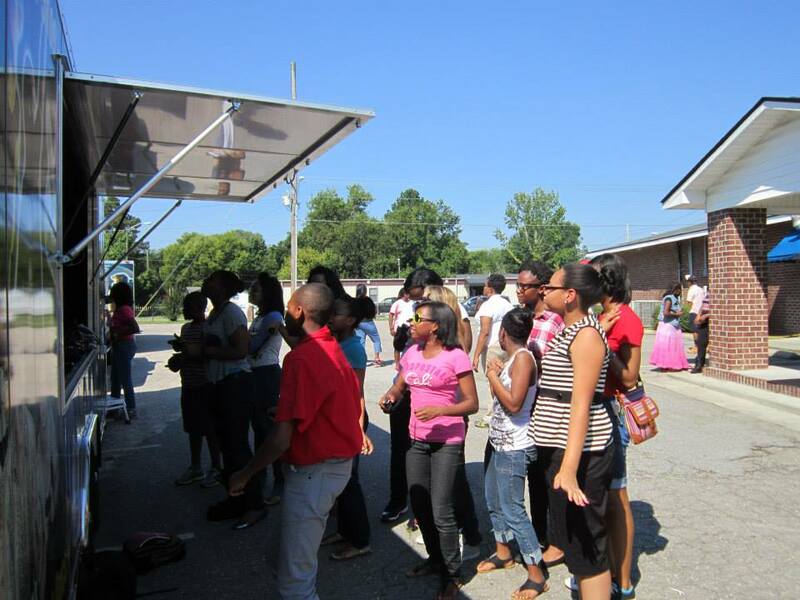 Have your party at a park, your church, community center, school…we’re also working on partnering with some pizza places so your food and entertainment needs are all taken care of. 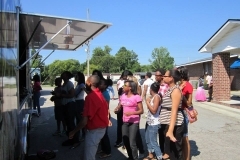 Do you know of schools, churches, or non-profits that need help raising funds? We can be of assistance. Our MGT is available for booking at a highly discounted rate! More information here. Are you part of our great military community here in Monterey? Defense Language Institute (DLI) student? Hard at work at the Naval Postgraduate School (NPS)? We give a 10% discount to active military! Contact us for our promo code. Didn’t get your question answered here? Our FAQ page is chock-filled with more information, or just contact us. 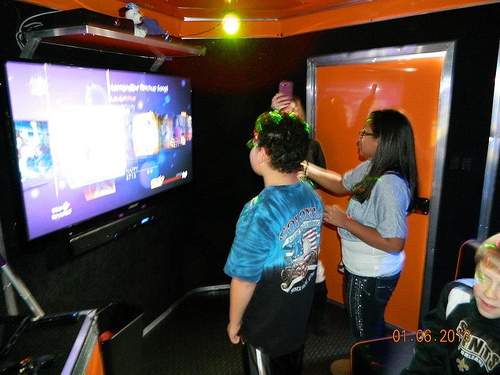 Call us at (831) 200-EZPZ (3979) or email us at sales@ezpzvideogameparty.com. 2016 has been great for us so far! We’ve enjoyed each and every party we’ve been honored to work at. Bookings are being accepted now, be sure to reserve your event today!